Each year more than 30,000 visitors come to BugFest to experience over 100 exhibits, crafts, games and activities. We provide the opportunity for you to interact with entomologists and other scientists so you can continue learning about the fascinating world of bugs. We also feature Café Insecta, where the brave can sample buggy dishes prepared by local chefs. The best part is, it’s all free! Why are beetles featured at BugFest this year? 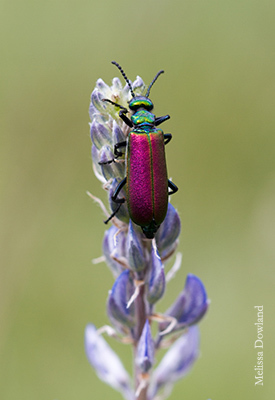 Beetles account for over 400,000 species — nearly one-fourth of all known types of animals! What’s in a name? BugFest celebrates all arthropods, a group that includes insects, spiders and scorpions, centipedes and millipedes, crayfish and crabs and many other creatures, as well as true bugs, like cicadas and planthoppers. All four floors of the Museum will be filled with buggy fun! The first floor of the Nature Exploration Center is open from 9am to 7pm. Jones Street, Bicentennial Plaza, and Edenton Street will be teeming with activities, bug stations and a street carnival. If you need any accommodations to attend the event, please contact David Wood.